This Grande table box easel is the bigger version to the popular standard table box top for using when you are limited on space or with taking to workshops and art classes. 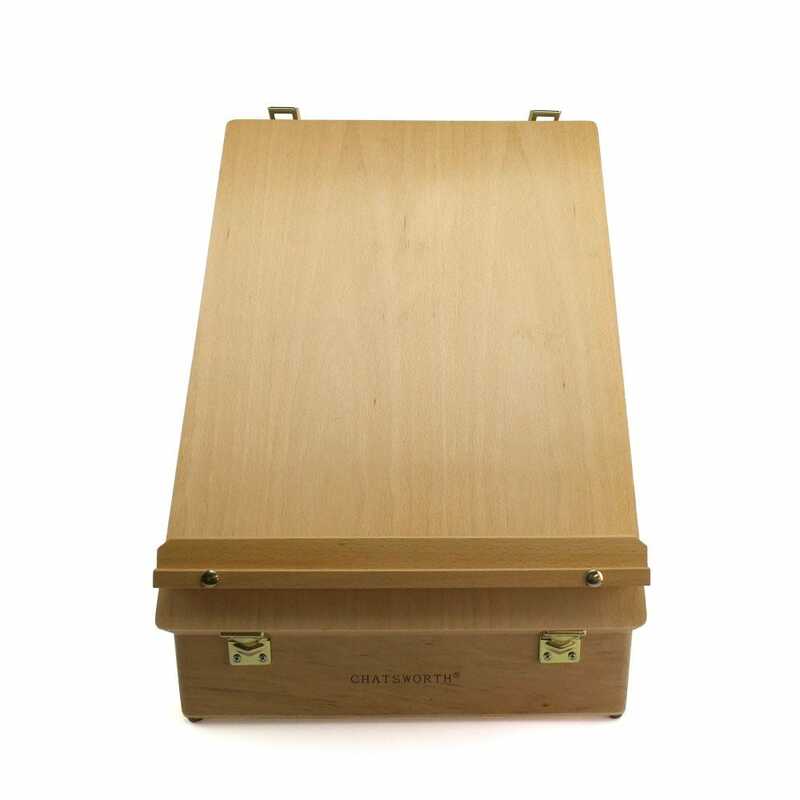 The stylish finish on the quality hardwood comes with dove tailed joints, the coloured brass hardware finishes and the leather carry handle gives this box an ideal gift and using at home. The Cadmium Table Box Easel features storage space for holding all your art materials with foam cushioned base and adjustable divisions, it has an adjustable canvas height with the adjustable angle for you to select your preferred working position.